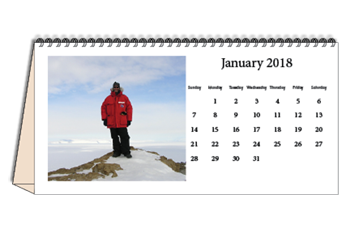 Horizontal photos and art look best with the horizontal layout of the calendar. You can also create collages. This works well when you cannot decide on only one picture to show a special occasion or event in your life. Add birthdays, anniversaries, and other special days. Our pricing includes all print and processing work, with no hidden extra charges. Shipping, if necessary, is additional at current UPS charges for your shipping requirements. 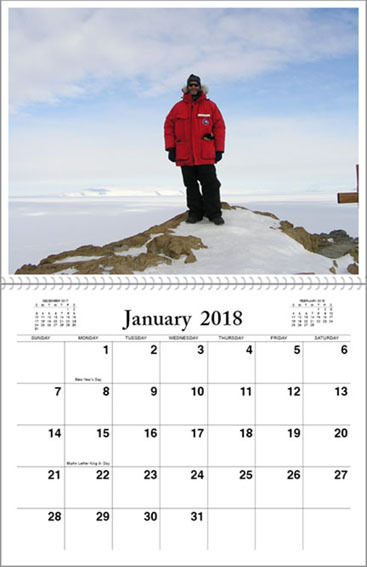 Will you be picking up your calendars, or would you like them shipped? If you would like to use one of our covers, please select which cover you would like by its number. Type the exact text you would like on the cover. You can include the year, or leave it out.